A client is every legal entity or private person who places an order and makes payment in the web shop Gearskin.eu. As stated in the section 43 of the Croatian Customer Protection Law, a contract for an under aged person (18 years), or a legally incapacitated person, can only be signed by their legal representative. Partially legally capacitated persons can make contracts with the authorization of their legal representative. GEARSKIN™ disclaims any liability that can come from, or is in any way connected with accessing the website, for any use or misuse of the website from the User, and for any damage that may emerge to the User or any other third party in correlation with use or misuse of website content. GEARSKIN™ is not liable for any charges created by using computer equipment or any other electronic device used for accessing our website. GEARSKIN™ is not liable for cell phone charges, data traffic or any other charge that can be a result of placing an order or using our website. GEARSKIN™ tries to have all the article info correct and up to date, but disclaim any liability from possible mistakes published in the info. GEARSKIN™ is not liable for any content mistakes or omissions on this website, nor for the accurateness of published information, and is not liable for periodical non-functioning of the pages or any of their parts. Photos, descriptions and previews on gearskin.eu pages don’t have to be in concord with articles that are actually in stock. We will do our best to update the availability of stock and pricing as fast as possible and reserve the right of changing or updating stock and price information without notice. Some photos can be tipic for a certain article type. In case that the article in stock significantly stands appart from the article with desired characteristics, the company GEARSKIN™ will notify the buyer and act in concord. The complete content of the web pageswww.gearskin.euis property of the company GEARSKIN™. For any commercial usage of content, please contact us through our contact channels. This site may contain other proprietary notices and copyright information, the terms of which must be observed and followed. All information on this site is protected by international intellectual property laws and as such if you reproduce any aspects of this site without our permission, you may be in breach of those laws. We grant all visitors to our site permission and limited license to reproduce by any means any aspects of our site for non-commercial uses and for the purpose of general enquiry. We reserve the right to modify, edit or delete the information provided on this site at any time in order to improve our services to you or if required by law. All such changes are incorporated in the general terms and conditions of use which apply to you each time you access this site. We encourage you to regularly check our terms and conditions of use and we will advise you of changes where practicable. PAYPAL – all orders made via gearskin.eu can be paid using your PayPal account or any credit card accepted by PayPal according to their terms of service. PayPal fee is included in the price of an article, so no additional costs will be charged. All prices are shown in EURO (€) and are tax included (25% PDV – Porez na dodanu vrijednost – eng. VAT – Value added tax). The offer and prices for special discounts are valid until date of expiry which is quoted on the webpage, or until out of stock. Shipping price, which is not included in the price, will be quoted separately when ordering an article. Shipping expenses do not rise if the order is delivered several times, but can rise with an additional expense to the delivery service, according to their terms of service. 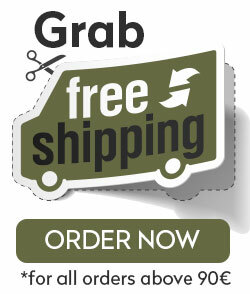 Shipping is free for all orders above 90€, and for all discount articles marked with a free shipping label. All payments will be effected in EURO (€). 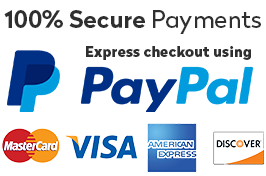 The amount your credit card account will be charged for is obtained through the conversion of the price in Euro into your PayPal currency according to the PayPal exchange rate. When charging your credit card, the same amount is converted into your local currency according to the PayPal exchange rate. As a result of this conversion there is a possibility of a slight difference from the original price stated in our web site. The official invoice will be made in compliance with Croatian laws and will include product prices in Croatian Kuna (Value in € will be included, too). PDV (VAT) tax is 25% and will be clearly stated and calculated in Croatian Kuna on the Invoice. Only the signed and stamped invoice that will be shipped with the item is a valid legal document of a purchase. All other digital documents you may receive via our automated system are for informative purpose only. We bind ourselves to protect personal data of our buyers, in a sense that we only gather necessary, basic buyer / user information, which is a necessity for fulfilling our commitments; we inform our buyers about the way we use gathered information, we give the buyer the possibility of choice about using their information, including weather they want their information to be removed from lists used for marketing campaigns. All data is strictly guarded and available only to employees to which this information is necessary for their work. All our employees and business partners are responsible for abiding by the privacy protection principles. The information which we gather and which we will ask for when taking our product order are personal information as follows: name, surname, address, e-mail and phone number. Your personal information is gathered and used for order confirmation, delivery, payment and claims of our products. E-mail address and phone number you enter, will be used for sending administrative notices in correlation with order delivery. Apart from administrative notices, we can send newsletter messages, but only with Your consent. Your personal information are accessible to our employees only for purposes of completing Your orders, our partners for the realization of Your orders, e.g. credit card payment authorization, product delivery or refunds for Your claims and for sending promotional offers and info about our products. We emphasize that your personal information will only be used for promotional purposes , only with Your noted consent. Your personal information will not be used for any other purposes than those mentioned above. GEARSKIN™ according to article 18a of CCPL („Narodne novine“ #106/12) designated a privacy officer. Accordingly, for any questions you might have about personal information protection, feel free to contact us. In order to complete your purchase in our web shop, registration is NOT mandatory. You only need to leave a valid e-mail address (the one you have access to) and the shipping information necessary to deliver your order. Benefits of the registered shoppers is that You only need to type in your delivery information (name, surname, address, postal number, city, phone number) once. Afterwards you can log in with the data you entered during registration. After entering all required information, You need to confirm your registration with a click on the “Save” button. A created user account stays registered in the system, and is accessed by a combination of a user name and a password. In case you have forgot your password, on the same page you can click „Forgot password?“. Then you can enter your e-mail address which you entered during the registration process, where the automated system will send a reset password link and get you a new password. You are solely responsible for all actions and orders made under Your username account. Every customer (registered or unregistered) can buy articles from the offer of the company GEARSKIN™ shown on web pages on gearskin.eu. A purchase contract is valid after receiving the ordered shipment. The company Rasa d.o.o. (gearskin.eu) obligates itself to deliver all ordered and paid articles which are in stock in the moment of order processing. In case when delivery is not possible, the company Rasa d.o.o. – GEARSKIN™ will contact the customer and set a new delivery time, a replacing article or will cancel the ordered article, while other ordered articles will be delivered. In case of no possibility of delivery of an ordered and paid article, the company GEARSKIN™ will make a full payment refund. Both the seller Rasa d.o.o. (GEARSKIN™) and the buyer can use the right to cancel the order before sending the articles for delivery, with a full payment refund. If the seller Rasa d.o.o. (GEARSKIN™) for any reason cannot deliver the paid articles, a refund will be made within seven (7) working days. If a buyer decides to cancel the order before it is sent for delivery, a refund will be made within seven (7) working days. If a buyer decides to cancel the order after it has been sent for delivery, a refund will be made within seven (7) days after the articles are returned to the seller, reduced by delivery costs and PayPal fees. The Rasa d.o.o. (GEARSKIN™) sales personnel guarantees you will get supreme service and gain maximum value for money. In case you are not satisfied with the delivered articles, you can return it to us within 14 days and we will give you your money back! According to CCPL, contract over distance, you are authorized to cancel a contract without having to give reasons why, within 14 days from the delivery date, or the delivery date of the last product from the order. A standard information form for contract cancellation can be downloaded on this link (LINK). The contract can be cancelled using the mentioned form, or any other unequivocal statement in which you claim you want to cancel the contract. In case of contract cancellation we will act in accord to the CCPL or the Law on Obligatory Relations. A refund will be made after the articles have been returned. You have to return the articles without delay, within 14 days from the date you made a statement about contract cancellation. The buyer, according to the CCPL, is to bear direct costs for returning the articles if he is using his right for contract cancellation, and if the buyer wants, he can contact GEARSKIN™ on the info telephone or e-mail address [email protected] for getting information about the ways of returning the articles to GEARSKIN™. The buyer is, according to the CCPL article 77, paragraph 5, responsible for every value reduction of the bought article which is a direct result of article handling. The buyer can not use his right for contract cancellation in cases which article 79 of the CCPL states is excluded. The returned article must be in original packaging, with its declaration, receipt, instruction manual and warranty form. The buyer can reclaim the article personally in the GEARSKIN store (location on the map) or send it to the store address (Rasa d.o.o. GEARSKIN™ Kukuljevićeva 28, 42000 Varaždin, Croatia). If the reason of the reclaim is a damaged article or a wrongfully delivered article, the replacement will be at the expense of GEARSKIN™, and if the reason for the reclaim is replacement on the buyer’s wish, the buyer sends the articles to our address at his expense. GEARSKIN™ is responsible for material defects of sold articles which they had in the moment of transition to the buyer, except if the defects were known to the buyer, or couldn’t have stayed unknown in the moment of signing a contract. GEARSKIN™ limited warranty covers defects caused by manufacturing and workmanship but does not include damage caused due to weather, extremes of climate, acts of God, animal activity, deliberate intent, occupational hazards, fire or chemicals, loss during postage and/or transport either by post/couriers/sea or air freight. According to the article 10 of CCPL, the web shop gearskin.eu Rasa d.o.o. (GEARSKIN™) provides you with an e-mail address [email protected] you can send your remarks and complaints. We will reply within 15 days from your e-mail. If you encounter a problem during online purchases within the EU (a defective product, the impossibility of replacing the product, etc.) and are unable to resolve the problem with the retailer or vendor you can submit Your complaint you to quickly and easily via the ODR (online dispute resolution) platform formed according to special regulations of the European Union affecting from 15. 2. 2016. throughout the EU for all disputes related to online purchasing. Shipping for all orders above 90€ is free, worldwide. Shipping for orders under 90€ is determined by our shipping conditions published in our web site footer (Shipping information). The articles are sent from our warehouse Kukuljeviceva 28, 42000 Varazdin, Croatia, European Union. All orders may take up to 48 – 72 hours to process, if you require more urgent delivery, please write it in the comments when ordering and select an appropriate priority shipping mode. The estimated delivery times on gearskin.eu are guidelines only and based on reasonable expectations and experience. Rasa d.o.o. (GEARSKIN™) does not take any responsibility if the above delivery times are not met. We will, however, take every action to ensure a timely delivery. Rasa d.o.o. (GEARSKIN™) takes no responsibility for items damaged or lost during delivery if the non traced economy mode of shipping is selected. If you supply incorrect information and products cannot be delivered, or you do not collect your parcel from the Post Office, you may be asked to cover freight costs for the goods to be resent. The articles will be packaged in such manner that it cannot be damaged in transport. The buyer is obligated to check possible defects on package arrival and immediately make claim to the delivery worker who delivered the package / refuse to accept a package on which outer damage on the packaging is visible. If the shippment is insured against loss during delivery the buyer is obligated to sign the dispatch note or the delivery note, which the delivery service acknowledges as certificate of delivery. The buyer uses the coupon (code) in such a manner, that he enters it in the coupon code box, after which the balance in the shopping cart will automatically refresh. It is possible to use only one unused code per order. Individual coupon codes are not transferable to other buyers, nor can they be exchanged for cash in its value. The delivery costs are charged according to the published price list if not marked otherwise. GEARSKIN™ retains the right not to apply discounts if there is a reasonable doubt for its abuse. Rasa d.o.o. (GEARSKIN™) makes no warranty, representation, or guarantee regarding the information contained herein or the suitability of its products and services for any particular purpose, nor does Rasa d.o.o. (GEARSKIN™) assume any liability whatsoever arising out of the application or use of any product. The products sold hereunder and any other products sold by Rasa d.o.o. (GEARSKIN™) have been subject to limited testing and should not be used in conjunction with mission-critical equipment or applications. Any performance specifications are believed to be reliable but are not verified, and Buyer must conduct and complete all performance and other testing of the products, alone and together with, or installed in, any end-use. Buyer shall not rely on any data and performance specifications or parameters provided by Rasa d.o.o. (GEARSKIN™). It is the Buyer’s responsibility to independently determine suitability of any products and to test and verify the same. The information provided by Rasa d.o.o. (GEARSKIN™) hereunder is provided “as is, where is” and with all faults, and the entire risk associated with such information is entirely with the Buyer. Rasa d.o.o. (GEARSKIN™) does not grant, explicitly or implicitly, to any party any patent rights, licenses, or any other IP rights, whether with regard to such information itself or anything described by such information. We will use all reasonable efforts to ensure that the information we provide on this site is accurate and up to date, however, we accept no liability for reliance on the information provided in this site, including loss or damage (including indirect and consequential loss) which you or any third party may incur directly or indirectly, as a result of the use of this site. In no event shall RASA d.o.o. (GEARSKIN™) be liable for any direct, indirect, punitive, incidental, special consequential damages, to property or life, whatsoever arising out of or connected with the use or misuse of it’s products. This disclaimer statement is governed by the laws of Republic Croatia. You hereby consent to the exclusive jurisdiction and venue of the Courts of Croatia, in all disputes arising out of or relating to the use of this product. Use of this product is unauthorized in any jurisdiction that does not give effect to all provisions of these terms and conditions, including without limitation this paragraph.